The new PKI 9830 has been developed by PKI ELECTRONIC INTELLIGENCE GmbH, in close cooperation with experts from all over the world. It allows EOD operators to manipulate suspect devices and objects at a secure distance of 3 meters. This significantly increases the operator’s security if a device should detonate. PKI 9830 is made of tube sections being linked together with a powered claw attachment at the operating end. A counterweight tube assembly which balances the manipulator is behind the operator. The final section has a frangible joint, which fails in the event of an unplanned detonation. This ensures that the load, transferred to the operator, is reduced to its minimum. An optional fragment shield, in front of the operator, offers extended protection. The claws of the PKI 9830 opens, closes and rotates under power control. The angle is adjusted manually with locking screws. 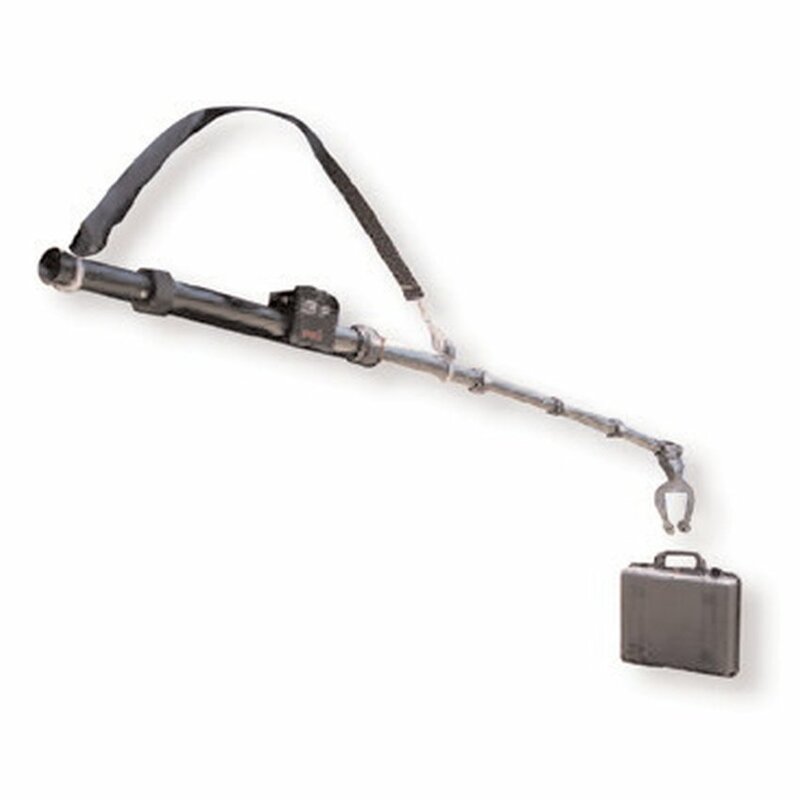 The whole manipulator can be folded a size fitting in a standard Pelican carrying case. Electrical connectors gold plated, 5 Amp, 24 strand, 0.2 mm diam.